In the glow of multicoloured neon signs, raindrops are sparkling on the windscreen of a car. In a deserted strip-bar bathed in red light, a guy with a shaved head is smoking cheap cigarettes and gazing at the woman dancing before him, wearing nothing else but fake eyelashes. 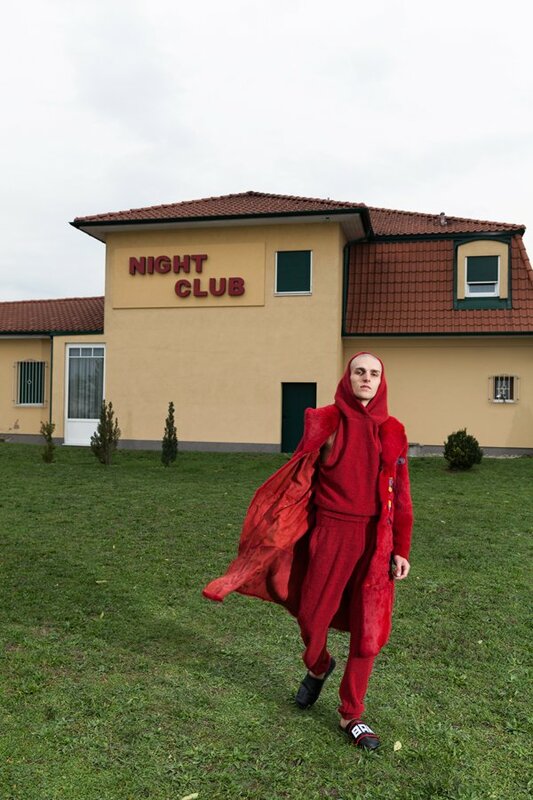 This is just a glimpse at the world of Hvala Iija, a project by Bosnian designer Ilija Milicic. It draws on the ostracised and secret, the feared and enchanting universe hidden deep beneath the fabric of the city. In the current political climate, the media often exploit fear of the outsider, eastern Europeans being one of the frequent archetypes. 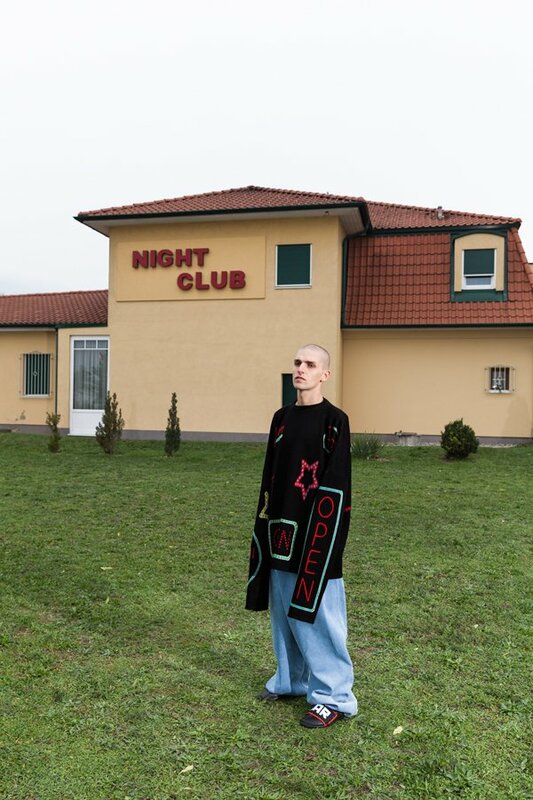 Paradoxically, this innate fear is one of the reasons why the so-called post-Soviet aesthetic has seen such stellar rise in fashion in recent years. 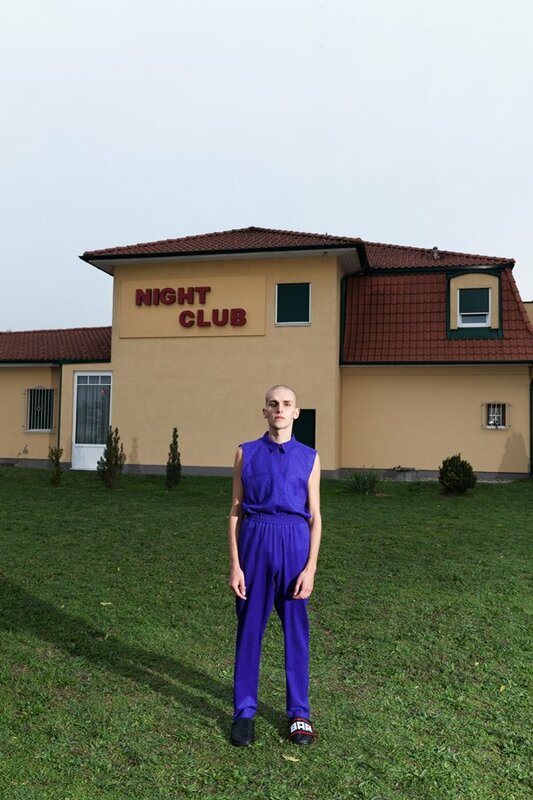 Milicic is adding something new and unseen to the narrative by exploring the heritage of Balkan culture and the immigrant’s state of mind — and finding unexpected beauty and romanticism in its darkest corners. Romanntik by H V A L A I L I J A from Hvala Ilija on Vimeo. Milicic is currently enrolled at the fashion department at The University of Applied Arts, Vienna, under the direction of the cult designer Hussein Chalayan. 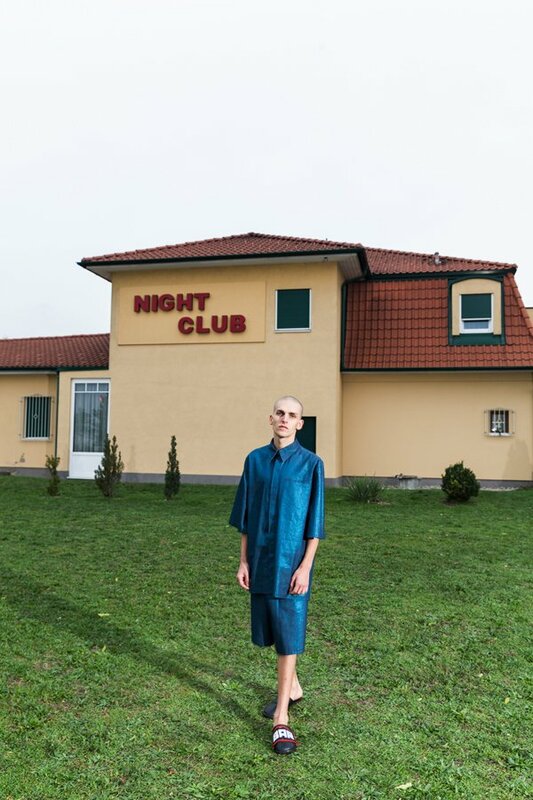 He doesn’t consider Hvala Ilija a proper label yet, more like an experimental project dealing with identity and body through clothes. This approach could be traced to the initial reasons why he decided to take up fashion. His garments, indeed, come with a story, and with the intention to question the shifting identity and non-conventional masculinity. Today our culture is increasingly shaped by the tension of global and local: in the shared media environment national differences are becoming less and less meaningful, with the worldwide rise of nationalism being a fearful antidote. Artists and fashion designers use their background to find authenticity in a world where everything has been commodified — although the true goal undoubtedly lies in channeling it into a globally relevant narrative. “Using my Balkan heritage comes naturally, and I don’t really questions my comfortability with it. Of course I’m also trying to be sensitive with the portrayal of my ideas since I like to work with stereotypes and symbolism, and don’t want it to come off as a caricature,” Milicic says. 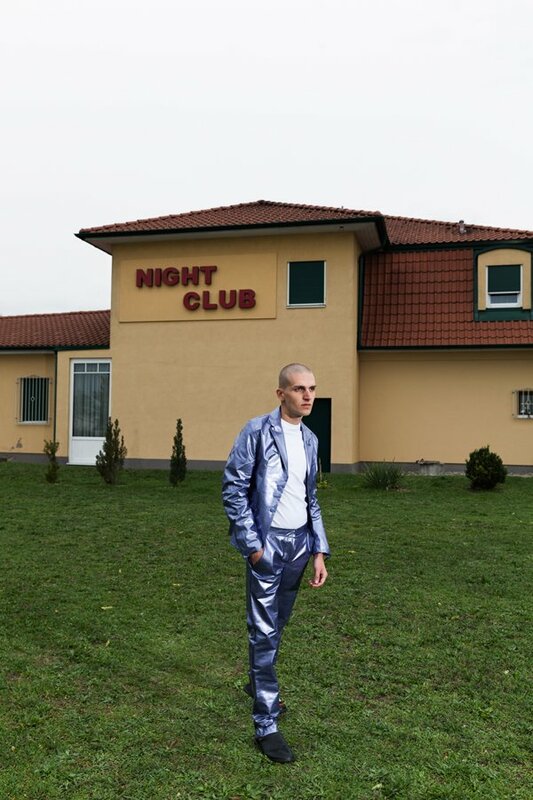 The designer’s vision for Hvala Ilija is sharp, on point, witty and irresistibly cinematic — as if he managed to keep the thrill and freshness of his amused gaze. “When I was a child, new to Vienna, I remember my biggest enemy being the escalators. It took a lot of courage for me to even step on them each time, and I just hoped to make it to the top or bottom alive,” Milicic remembers. “Also, the red light district in Vienna fascinated me. 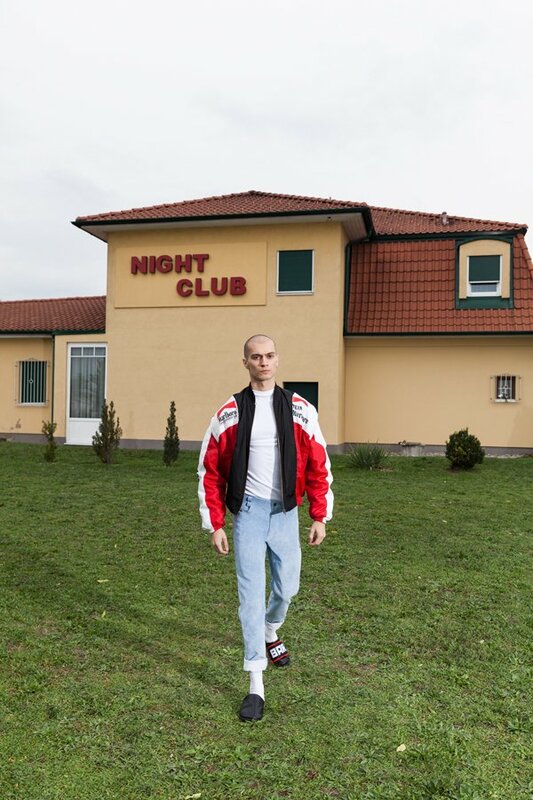 I felt like I was watching real life music videos, like the ones I watched in Bosnia before moving.” Reflecting the dichotomy of the East and the West — geopolitical, cultural and personal — Hvala Ilija manages to grasp the most poignant traits of both.